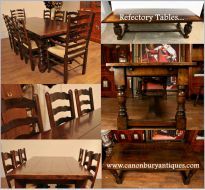 Canonbury Antiques product guide and review section with articles on styles of art, furniture care, antiques periods, designers, lists, how to guides and interior design tips. 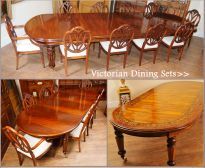 Nothing beats the high end sheen of a large extending Victorian dining table with a matching set of dining chairs. Dinner is served!